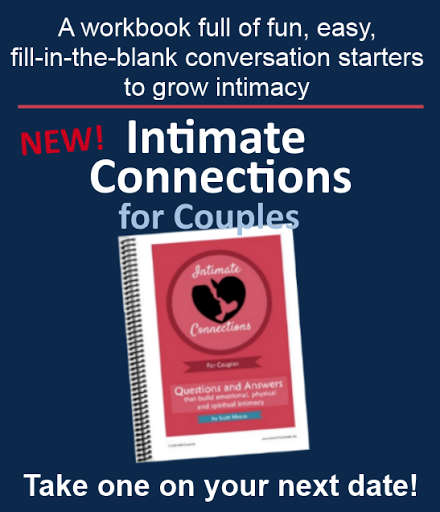 Free intimacy building download, just in time for Valentine's Day! That's right. I'm offering my popular 14-Day Intimacy Challenge for Husbands and Wives for free through Noisetrade. 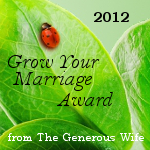 Thousands of couples have already downloaded these great eBooks and taken the challenge. Now is your chance. Get the Husbands Challenge Here. Get the Wife's Challenge Here. This is a limited time offer, so get them while you can! Learn to Think, Act and Communicate in Ways That Cultivate Intimacy in Your Marriage! What is the Intimacy Challenge? If you aren’t satisfied with the intimacy level in your marriage (and I don’t think you ever should be), it’s time to challenge yourself to take a fresh approach. The Intimacy Challenge dares you to do things differently in order to get different results. By following each daily call to action you will begin to think, act and communicate in new ways that encourage intimacy to thrive. Who should take the challenge? For many couples, intimacy is an ever-elusive goal. Every couple wants more of it, though many can’t agree on what exactly it is. Few couples know how to get it, and even fewer actually attain it. If this describes your marriage, even a little, take this 14-day challenge and watch the intimacy level rise to new heights. Every couple will benefit from making intimacy a priority. The truth is there is always more intimacy available. "Thank you for the helpful tips and advice. It has really helped us grow closer together!" "Sometimes it is just the awareness that helps to make things work better, and you provided that for me." "Thank you for so many great ideas that stretched me out of my comfort zone!" "Thank you for your investment in marriage. Many need this type of encouragement and advice!" "Thank you for such a wonderful marriage building exercise!" This challenge makes the perfect gift for Valentine's day. Here's one suggestion for how to give it. Print out the cover and wrap it or put it in card. When your spouse opens it, explain that every day for the next two weeks you'll be taking the challenge, which is designed to build more intimacy in your marriage. Each day has something to think about, something to do, and something to ask. You could leave it at that, or explain further, as you wish. Another way to give the challenge is to not say anything about it until the challenge is over, or unless your spouse begins to suspect that something is "different" and asks. 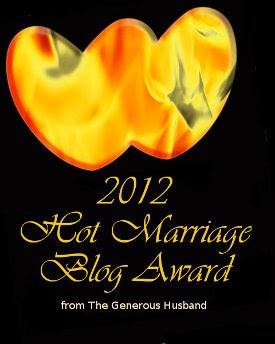 However you decide to give it, please do make this investment in your marriage. You'll be glad you did. 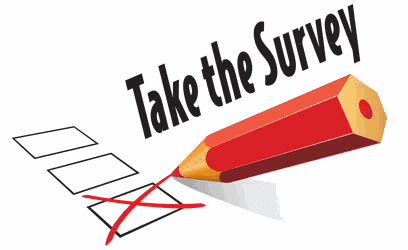 Feel free to drop back by and tell us how it went with a comment below.